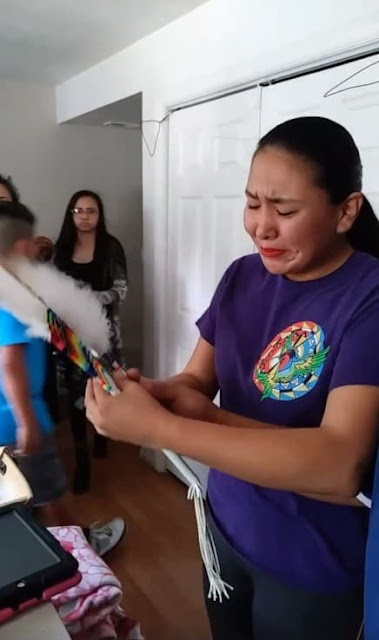 So, as a graduation present, her parents decided to surprise her with something she will cherish forever. 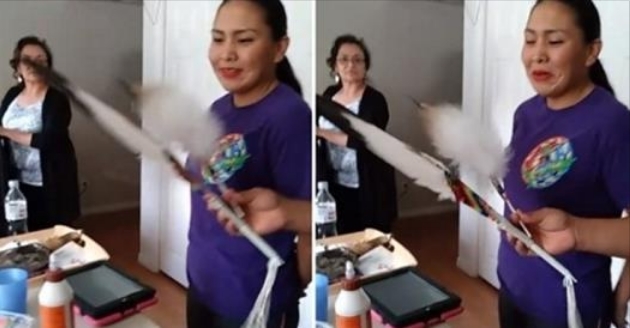 In the video, taken by her mom, Moneek is standing in her kitchen talking with some relatives. "I had just walked for my graduation and got my diploma," she says. It takes her a moment to realize her dad is holding a feather fan — a sacred object used in pow wows. She gasps. And then bursts into tears. She hugs her dad, feathers in hand. For those who don't know, it is frowned upon in most Indigenous cultures to pay money for feathers. Moneek says, "I was taught to never buy feathers. If you get some for trade or if you are lucky and they are found, I see it as a symbol from above." She says her parents came across the feathers for her fan and started getting them "fixed and prepared by a good friend" about two years ago. "I cried out of joy because it showed me that all my hard work though high school and the days of struggle paid off." 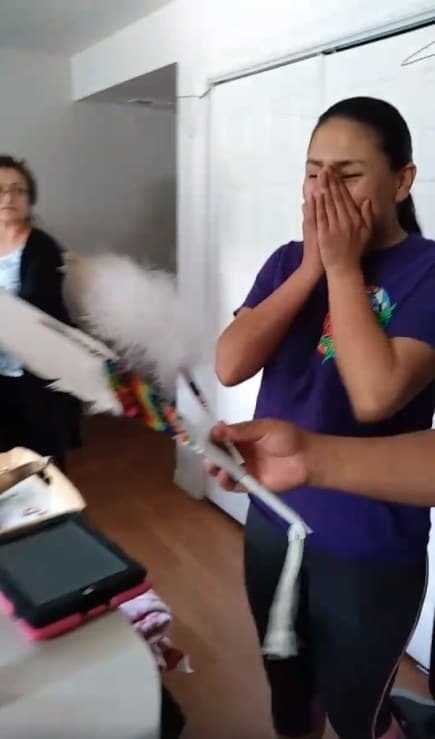 Responses to "Indigenous Teen's Reaction To Her Grad Gift Will Make You Proud"
RESPECT, princess, you truly are an inspiration.